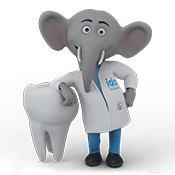 The Indian Dental Association (IDA) is an independent and recognized voice of dental professionals in India. We are committed to improving public oral health by promoting advanced, science-based dentistry that puts the patient at the centre through our initiatives in education, research and development of high standards for dental care in India. The flag bearer of oral health, the association endeavors to meet the public needs and expectations. We acknowledge that oral health is an integral part of general health and well-being. 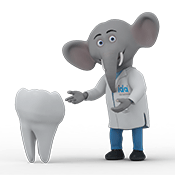 IDA represents more than 75,000 dental professionals and has 33 state branches and 450 local branches. Through its initiatives and campaigns, IDA reaches out to dental students, dental professionals, educators and the public to safeguard and promote optimal oral healthcare in the country. The association's vision is to improve oral health and quality of life and achieving `optimal national oral health for all. We also aim to represent the dental profession and support members in the provision of comprehensive and quality oral health care. IDA is dedicated to supporting dental professionals in their practice by enhancing and updating their skills and knowledge. The association is the nation’s most respected leader in promoting oral health, tobacco cessation and early cancer detection to improve quality of life and eliminate oral health disparities. 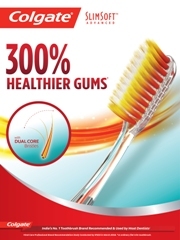 IDA’s mission is optimal oral health for all Indian. Supporting new scientific innovations to meet the changing needs of society and promoting the well-being of the nation. Coordinating and assisting scientific and research- related activities among all sectors of the dental community. Promoting the timely transfer of knowledge gained from research to improve public health by educating oral health professionals and policy- makers. Preventing oral diseases by promoting oral health through awareness and dissemination of information. Conducting Continuing Dental Education (CDE) and professional development programmes to ensure an adequate number of talented, skilled dental care professionals. 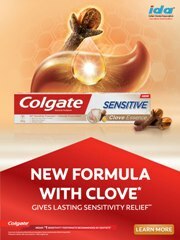 Good oral health is vital to good overall health. Poor oral health negatively affects growth, development, learning, nutrition and communication, self-esteem for all sections of society, young and old have and have-nots. India exposes disparities in oral health, with lower income groups having higher disease rates, limited or no access to care. Indian democracy is committed to the care and wellbeing of its citizens. The nation’s long-term investment in science and technology has paid off. We are proud that these advances have added years to the average life span and enhanced the quality of life. Nobody suffers from oral diseases which can be prevented and treated. Young children do not from suffer caries. Rural populations do not experience poor oral health due to barriers to access to care, shortage of resources and professionals. The elderly and differently abled are treated with special care. Pregnant women receive careful high quality treatment. IDA call-for-action accurately assesses needs, monitors outcomes, decreases disparities, improves access to care and ultimately improves oral health. These actions crystallize IDA’s vision and mission. The association is confident that rewards in health and well-being can accrue for all Indians. However, a number of barriers hinder the ability of Indians from attaining optimal oral health calling for action-framework --- a national oral health plan to improve quality of life and eliminate oral health disparities. Oral health is more than healthy teeth. Oral diseases and disorders affect health and well-being throughout life. The mouth reflects general health and well-being. Lifestyle behaviors that affect general health (tobacco use, excessive alcohol use and poor dietary choices) affect oral and craniofacial health. 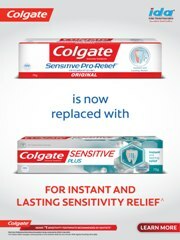 Safe and effective measures exist to prevent the most common dental diseases—dental caries and periodontal diseases. There are profound and consequential oral health disparities in India. Scientific research is key to reduction in the burden of diseases and disorders that affect the face, mouth, and teeth. We are aware that the Indian democracy is committed to the care and well being of its citizens. The government’s long-term investment in science and technology has paid off by adding years to the average life span and enhancing the quality of life. But not all Indian have benefited equally from improvements in oral health and health care. India’s continued growth in diversity has resulted in a society with broad, educational, cultural, language and economic differences which hinder some individuals and groups from realizing the gains in oral health. National Oral Health Survey conducted in 2005 by IDA highlighted dental disparities that revealed the silent epidemic of oral diseases affecting rural Indians --- our most vulnerable citizens. The survey found Dentist: Population ratio in the rural areas to be dismally low with less than 2% dentists being available for 72% of rural population. The grim reality in India is that 95% of the population suffers from gum disease, only 50% use a toothbrush and just 2% of the population visits the dentist. The survey sounded an alarm and the need to affirm once again that -- oral health is very vital to general health and well-being. The Indian Dental Association’s (IDA) immediate response was to address the ‘silent epidemic of oral diseases affecting the most vulnerable citizens of lowest strata young and old and under-privileged groups’ by initiating National Oral Health Programme which aims at optimal oral health . 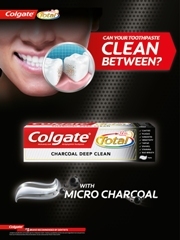 The perception ingrained in Indian mindset is that oral health is less important than and separate from general health. Activities to overcome these attitudes and beliefs are taken up at grassroots level which can lead to increased oral health literacy, understand basic oral and craniofacial information and services needed to make appropriate health decisions. In this way, the prevention, early detection and management of diseases of the dental, oral and craniofacial tissues can become integrated in health care. Formation of community-based programmes and social services will promote the general health and well-being of all Indians. Develop messages that are culturally sensitive and linguistically competent. Enhance knowledge of the value of regular, professional oral health care. Increase the understanding of how the signs and symptoms of oral infections can indicate general health status and act as a barometer for other diseases. Inform government of the results of oral health research and programmes and of the oral health status. Develop concise and relevant messages for government. Document the health and quality-of-life outcomes that result from the inclusion (or exclusion) of oral health services in programmes and reimbursement schedules. Review and update dentists via continuing education courses to include content on oral health and the association between oral health and general health. Train dentists to conduct oral screenings as part of routine physical exams and make appropriate referrals. Promote interdisciplinary training of dental personnel in counselling patients about how to reduce risk factors common to oral and general health. Encourage dentists to refer patients to other health specialists as warranted by examinations and history. Reduce disease and disability. Update the public and dental professionals on ways to reduce the burden of oral disease through education, behavioural change, risk reduction, early diagnosis and disease prevention management. Set criteria and strong foundations for evaluating the scientific evidence and promoting effective interventions. Improve oral health care access. Health disparities are commonly associated with populations whose access to health care services is extremely poor due to poverty, limited education or language skills, geographic isolation, age, gender, disability, or an existing medical condition. Establish close working relationships so that strategies tailored to the varying and continuing health needs can be developed. Enhance health promotion and health literacy. To encourage healthier lifestyles and increase interventions for prevention or early detection of disease by changing the environment (the places where people work, play, learn or live). Policies and programmes concerning tobacco cessation, dietary choices, wearing protective gear for sports and other lifestyle related efforts not only will benefit oral health, but are natural ways to integrate oral health promotion with promotion of general health and well-being. Implement science-based interventions appropriate for individuals and communities. Enhance oral health-related content in health professions school curricula, residencies and continuing education programmes, by incorporating new findings on diagnosis, treatment and prevention of oral diseases and disorders. Build and support epidemiologic and surveillance databases at national, state, and local levels to identify patterns of disease and populations at risk. Data are needed on oral health status, disease and health services utilization and expenditures, sorted by demographic variables for various populations. Surveys should document baseline status, monitor progress and measure health outcomes. Determine, at community or population levels, oral health care needs and system requirements, including appropriate reimbursement for services, facility and personnel needs, and mechanisms of referral. Encourage partnerships among research, provider, and educational communities in activities, such as organizing workshops and conferences, to develop ways to meet the education, research, and service needs of patients who need special care and their families. Promote and apply programmes that have demonstrated effective improvement in access to care. Create an active and up-to-date database of these programmes. Explore policy changes that can improve provider participation in public health insurance programmes and enhance patient access to care. Remove barriers to the use of services by simplifying forms, letting individuals know when and how to obtain services and providing transportation and child care as needed. Assist low-income patients in arranging and keeping oral health appointments. Facilitate health insurance benefits for diseases and disorders affecting craniofacial, oral, and dental tissues, including genetic diseases such as the ectodermal dysplasias, congenital anomalies such as clefting syndromes, autoimmune diseases such as Sjögren’s syndrome, and chronic orofacial pain conditions such as temporomandibular disorders. Ensure an adequate number and distribution of culturally competent providers to meet the needs of individuals and groups, particularly in health-care shortage areas. Make optimal use of oral health and other health care providers in improving access to oral health care. Energize and empower the public to implement solutions to meet their oral health care needs. Develop integrated and comprehensive care programmes that include oral health care and increase the number and types of settings in which oral health services are provided. Advances in health depend on biomedical and behavioral research aimed at understanding the causes and pathological processes of diseases. This can lead to interventions that will improve prevention, diagnosis and treatment. Too many people outside the oral health community are uninformed about, misinformed about or simply not interested in oral health. Such lack of understanding and indifference may explain why community programmes fall short of full implementation, even though the scientific evidence for their effectiveness has been known for some time. Oral health research must also pursue research on chronic oral infections associated with heart and lung disease, diabetes, and premature low birth-weight babies. Enhance applied research (clinical and population-based studies, demonstration projects, health services research) to improve oral health and prevent disease. Expand intervention studies aimed at preventing and managing oral infections and complex diseases, including new approaches to prevent dental caries and periodontal diseases. Intensify population-based studies aimed at the prevention of oral cancer and oral-facial trauma. Conduct studies to elucidate potential underlying mechanisms and determine any causal associations between oral infections and systemic conditions. If associations are demonstrated, test interventions to prevent or lower risk of complications. Develop diagnostic markers for disease susceptibility and progression of oral diseases. Develop and test diagnostic codes for oral diseases that can be used in research and in practice. Develop reliable and valid measures of patients’ oral health outcomes for use in programmes and in practice. Support research on the effectiveness of community-based and clinical interventions. Facilitate collaborations among health professional schools, state health programs, patient groups, professional associations, private practitioners, industries, and communities to support the conduct of clinical and community-based research as well as accelerate science transfer. Promote effective disease prevention measures that are underutilized. Routinely transfer oral health research findings to health professional school curricula and continuing education programmes and incorporate appropriate curricula from other health professions- medical, nursing, pharmacy and social work--into dental education. Communicate research findings to the public, clearly describing behaviours and actions that promote health and well-being. Explore ways to accelerate the transfer of research findings into delivery systems, including appropriate changes in reimbursement for care. Routinely evaluate the scientific evidence and update care recommendations. Meet patient needs. The patient pool of any health care provider tends to mirror the provider’s own racial and ethnic background. As such, the provider can play a catalytic role as a community spokesperson, addressing key health problems and service needs . Efforts require full community participation, mentorship and creative outreach. Enhance oral health workforce capacity. Dental school recruitment programmes offer incentives to students who may want to return to practice in rural areas and inner cities are in a prime position to act. Through these programmes dental schools increase the diversity of the oral health workforce. To effect change in oral health workforce capacity, more training and recruitment efforts are needed. The lack of personnel with oral health expertise at all levels in public health programmes remains a serious problem, as does the projected unmet oral health faculty and researcher needs. Further, all health care professionals, whether trained at privately or publicly supported medical, dental, or allied health professional schools, need to be enlisted in local efforts to eliminate health disparities. These activities could include participating in part-time service in community clinics or in health care shortage areas, assisting in community-health assessment activities, participating in school-based disease prevention efforts and volunteering in health-promotion and disease-prevention efforts such as tobacco cessation programmes. Document the outcomes of existing efforts to diversify the workforce in practice, education, and research. Develop ways to expand and build upon successful recruitment and retention programmes. Create and support programs that inform and encourage individuals to pursue health and science career options in high school and during graduate years. Expand scholarships and loan repayment efforts at all levels. Specify and identify resources for conducting outreach and recruitment. Develop mentoring programmes to ensure retention of individuals who have been successfully recruited into oral health careers. Facilitate collaborations among professional, government, academic, industry, community organizations and other institutions that are addressing the needs of the oral health workforce. Provide training in communication skills and cultural competence to health care providers and students. Assess the existing capacity and distribution of the oral health workforce. Study how to extend or expand workforce capacity and productivity to address oral health in health care shortage areas. Work to ensure oral health expertise is available to health departments and to government programmes. The private sector and public sector each has unique characteristics and strengths. Linking the two can result in a creative synergy capitalizing on the talent and resources of each partner. In addition, efforts are needed within each sector to increase the capacity for programme development, for building partnerships, and for leveraging programmes. A sustained effort is needed right now to build the nation’s oral health infrastructure to ensure that all sectors of society--the public, private practitioners, and government personnel--have sufficient knowledge, expertise, and resources to design, implement and monitor oral health programmes. Leadership for successfully directing and guiding public agency oral health units is essential. Further, incentives must be in place for partnerships to form and flourish. Disease prevention and health promotion campaigns and programmes that affect oral and general health-- such as tobacco control, diet counseling, health education aimed at pregnant women and new mothers and support for use of oral facial protection for sports—can benefit from collaborations among public health and health care practicing communities. Programmes require the combined efforts of social service, education and health care services at state and local levels. Most importantly, the public in the form of voluntary organizations, community groups, or as individuals, must be included in any partnership that addresses oral and general health. Strengthen the networking capacity of individuals and communities to address their oral health needs. Build and nurture broad-based coalitions that incorporate views and expertise of all stakeholders and that are tailored to specific populations, conditions or programmes. Strengthen collaborations among dental, medical, and public health communities for research, education, care delivery, and policy development. Develop partnerships that are community-based, cross-disciplinary, and culturally sensitive. Work with the Partnership Network and other coalitions to address the four actions previously described: change perceptions, overcome barriers, build a balanced science base, and increase oral health workforce diversity, capacity, and flexibility. This action plan will serve as a blueprint, one that can be a tool for enlisting collaborators and partners. Building this plan into existing health programmes will maximize the integration of oral health into general health programmes—not only by incorporating the expertise of multidisciplinary professional teams, but also allowing the plan to benefit from economies of scale by adding on to existing facilities, utilizing existing data and management systems and serve the public.